Happy publication day to Michelle Elman. We have an exclusive excerpt feature for you today. 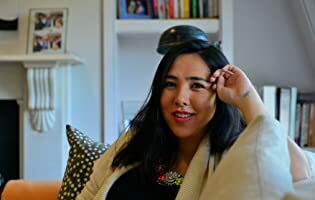 Michelle Elman is a body-positive activist and 5-board accredited body-confidence coach. She has amassed 180k followers on Instagram across two accounts (@scarrednotscared and @bodypositivememes) and has gone viral five times for her body-positivity posts and her campaign #ScarredNotScared. 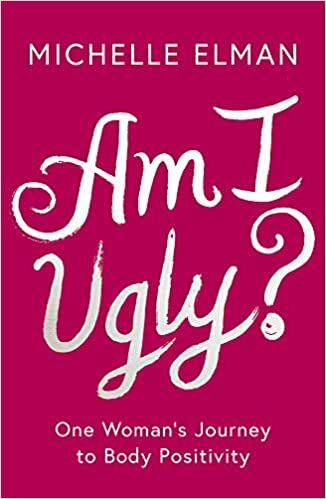 She is a guest contributor to popular Youtuber Hannah Witton’s successful Young Adult book DOING IT; contributed to the recent bestseller BODY POSITIVE POWER; has appeared on Sky News, BBC Radio London, Channel 5 News, LBC. She is a TedX speaker and runs the Body Positive Book Club. Goal-setting is part of coaching. Goals take time – and you have to plan for them. You decide on what you want, make it as specific as possible, assign a date to it, and then you take action towards your goal while believing with a hundred per cent certainty that it’s going to happen. Goals like ‘I want to be happy’ are not goals. These are states of mind, feelings that you can gain in a second. A goal requires planning and patience. The goal I had set for Florida was to wear a bikini for the first time since I was ten years old. I was pretty deter- mined, but the night before I left for the retreat, I realized that a crucial step in the ‘taking action’ part of goal- setting had been forgotten: I hadn’t bought a bikini. So I did some panic-shopping online, and a next-day delivery later, a box of bikinis arrived at my flat. When none of them fit, I decided to shelve the entire idea. In Florida, I told Hayley about my foiled plans – how nothing had fit and that it was a silly idea anyway. The next day, she whisked me down to the hotel shop and stood outside my changing room until I found a bikini that looked good. I put a sundress over it and we all went down to the pool. I had so many awful memories that went with swimsuits – and it’s probably the same for most women. As I walked to the pool, I imagined the judgemental stares of the other hotel guests, and the looks of shock and pity. I put on a cold exterior – another skill learned at St Keyes – so I wouldn’t show that I was vulnerable, but inside, I felt ten years old again. To keep myself from backing down, I whipped off my dress as soon as I arrived at the pool. Then I walked around the corner – to join a gaggle of women. Hayley was beaming with pride and clapping, and embraced me with hugs. The other women seemed con- fused, so it was explained that this was the first time I’d worn a bikini as an adult. ‘Oh,’ the women said, look- ing straight at my face and not at my scars, and I was applauded again, and congratulated – and then, in just a few minutes, the hubbub was over and the conversation moved back to a discussion of lunch, and where we were going, and what we wanted to eat. Nothing had changed. In fact, everything was exactly the same. I didn’t want to stand out or be different or pitied. I just wanted to be like everybody else. ‘Hey, what does your tattoo mean?’ Hayley asked, look- ing at my wrist and seeing a little blue bow that I’d had inked there. I explained that I’d been to Japan during the summer holidays of my first year of university and visited hot springs, where it was customary to be naked. There, a little girl had stared at me all day, making me more and more confused, and frankly insecure. Later I’d asked my friend, ‘Was it because I’m fat?’ and it was only at that point, seven hours afterwards, that I realized what the little girl had been staring at: my scars. My natural assumption was that it was my fat – some- thing every woman worried about – and I had completely forgotten about my scars. It felt liberating – and normal. Something I had tried to attain my whole life. I had gone from never talking about my scars or surgeries in my last year at St Keyes, to talking about them so much in the first year of university that I got a tattoo of the number thirteen. And this felt like balance. Forgetting my scars for those seven hours reminded me of something I’d forgotten: I’m more than my scars. I’m more than my body. To commemorate that moment, I got a tattoo – a blue bow made out of circles, because I had come full circle. The placement on my wrist signified that everything I touch is affected by these experiences; but the bow is on the side, because my scars are not the centre of my world but a side-story. It’s funny how it sometimes takes an outside perspective to see through your own insecurities. Hayley was right. My problem wasn’t really with my body. My problem was the bikini – two flimsy pieces of fabric. For so long I’d believed that my life would begin when I lost enough weight and loved my scars enough to wear a bikini. I believed that if I could accomplish that, I could achieve anything. And I was right. But only because I believed that a bikini stood in the way of everything. Now, in a bikini, without the weight loss and with my scars on show, I felt exactly the same as I’d imagined I would all those years ago when I used bikini photos as my motivation for weight loss. But this pride, this euphoria, it wasn’t from weight loss – it was from finally being myself, authentically, exactly how I was and how I looked right now, not in five, ten, twenty, thirty pounds from now. Ignoring all the societal standards for what a bikini body looked like – I was doing it. Fat. And it was more empowering than I could have ever imagined. I was deviating from the norm – the norm I had so desperately wanted to live by. But being realistic, I wasn’t normal. Not my story, not my scars, not me – so why was I trying to be? My body had never been the problem. After all, how many people with my medical record have the privilege of even having a body? I was alive and I wasn’t going to spend a moment more of my life letting what I looked like stand in the way of my dreams.